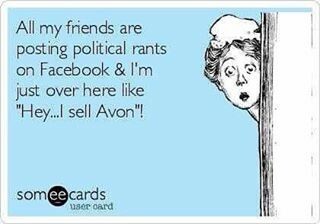 Well, we are back for Campaign Twelve, Avon lovers! "Beauty proves you care about yourself and your family," proclaims Campaign Twelve, and while you may take that to mean that ugly people are uncaring, no! It just means you should buy some eyeliner. We've got wine, cologne and bug spray to get through today - let's get started. 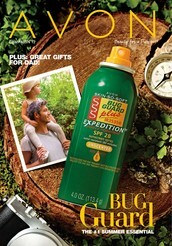 We begin, as usual, with the Sales Guide, Avon's bi-weekly guide to what's hot. What's really hot? Bug spray. What's not? Zika :(. Grab some of these handy bug guard wipes to tuck into your speedo as you go for the Olympic gold this summer. Next! There's a lot of sweet smells in this campaign's catalog. 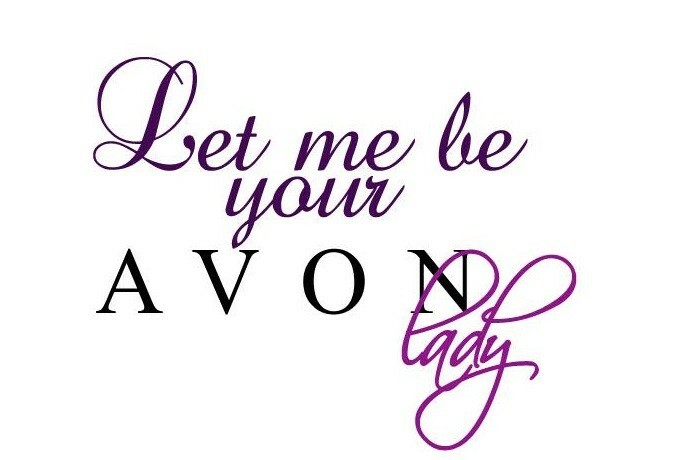 Perfume, cologne, body splash, powder in all kinds of scents. Let me recommend specifically the Alpha. Daniel tried a sample of this strongly named scent a week or so ago and moments later I found him staring into the mirror whispering, "I can do anything". You know what friends? He always could - Alpha just made him see it for the first time. Try some! Three! Father's Day is coming up! We don't celebrate Father's Day in my family - therapy is a year round endeavor. But maybe your situation is different! 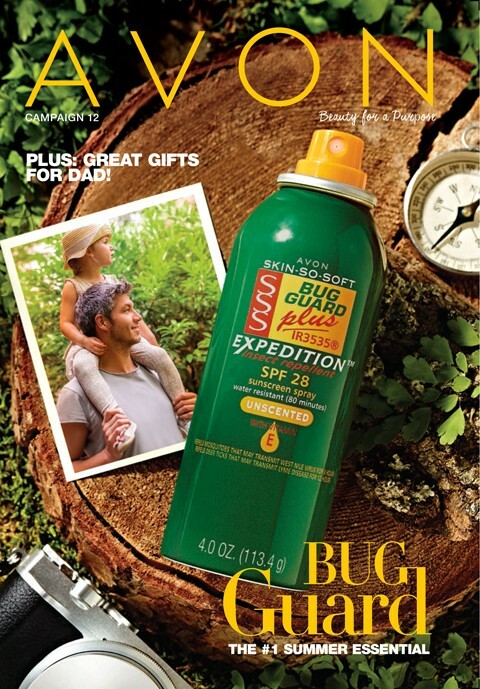 So you should know that there are a ton of Father's Day items in this Avon catalog. I particularly like the dog tag that bears the inscription "You Inspire Us", which seems like something my basketball team should have chipped in to give me as a coach's gift. And! I'm crazy about this ring that says DAD in bold letters, artfully engraved with the phrase "we love you dad" inside the band, available in men's sizes only. Four! The sales guide tells me to tell you that I've got all the Summer sandals you need - all at great value. "From strappy flat styles to cut out heels, from everyday neutrals to pops of color, they'll find the looks they love!" By "they" they mean you (by down I mean off). Avon even has clogs, for the social workers among us (hey, Ann). I particularly like the Modern Platform Sandal, which is the "latest in street chic". Which is exactly my look! Let's all get them! And finally, there's no reason for you to run out of your favorite anti perspiration deodorant roll on! I was under the mistaken impression that we as a society had collectively moved onto solid dedorant, but here I am, wrong and not afraid to admit it. Each roll-on is $1.49. At that price, why not buy ten? Well, we've got the Sales Guide over with and I'm sure you are saying, "Cheryl, all's well and good but what do YOU recommend?" Thanks for asking! There are several things. First, summer's coming! As is menopause and as such, I'm always on the look out for hair removal products. Avon, as always, to the rescue. We've got Facial Removing Cream, Bikini Line Hair Removal Cream and regular old Hair Removal Cream, all on sale! Check them out! What about some bubble bath? I've got 24 oz of bubble bath in your choice of eleven scents, each one carefully named to instantly boost your feminity. Cherry Blossom, Blushing Kiss, Soft Pink, Peony, Lily Honey-please-suckle, all guaranteed to make you more subservient. I mean, relaxed. Only $5 each! Let's talk about skin care products. I've been using the Anew Retexuring Pads, which I like so much. They are like stridex pads but for grown ups. $20. I've also been using the Eye Lift Pro Dual Eye Care System, which Avon uncharacteristically gave to me for free and let me say, I don't always love an eye cream (I have sensitive skin) but I've been quite pleased with this product. Injection grade ingredients and only $28! Last but not least, how about the Parlor Treats Collection Snow Cone Maker? My now teenaged son would like me to buy one. I am not going to do that. But maybe you could and then invite him over. He's generally polite. As you may know, I'm also selling wine! I've got a nice fizzy red dessert wine called Fissata and a brisk white called Beeline, both $18 per bottle. Want to try them? Have a wine tasting! Invite your friends and I'll come by with five kinds of wine for everyone to try. I've had two wine tastings so far and my takeaway is that anything can happen at a wine tasting. 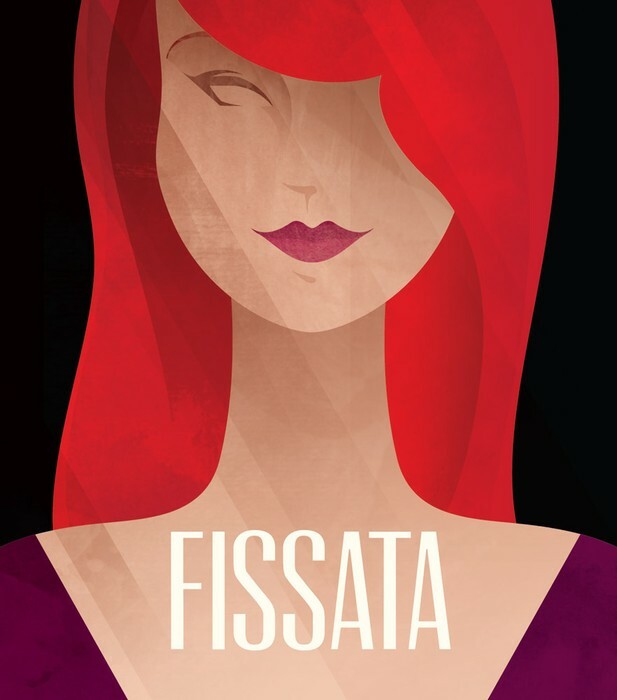 You might discover you like fizzy red dessert wine! You might end up in an uber on your way to the ER! Who knows! Let's see what happens when you host. I think that's it for this round! Thanks for sticking with me through this word-dense email. If you'd like to order, get in touch via return email by Wednesday at noon and I'll have your goods by next Saturday. Or, order online! As always, if you enjoyed this email, please share it with family and friends - Mama needs a new pair of Cushion Walk Memory Foam Wedge Sneakers in Metallic, $35.